The Wahoo Fitness App is a free app that has been specially designed to work with the range of Wahoo hardware sensors in conjunction with your iOS or Android device. However, it will also support other Bluetooth 4.0 compliant devices. This product is designed for use on the iPhone 4s and newer, iPad 3rd gen and newer, iPad mini, iPad Air, and iPod 5th gen. Download the Wahoo Fitness app from the App Store. The Home Page functions as the launchpad for all workout related activity and displays a summary for the period of the previous 4 weeks. The summary outlines the number of workouts performed, distance travelled and time spent during workout sessions. When the Wahoo Fitness app is opened for the first time, a wizard will step through the process of pairing a sensor, setting up as a user and getting the first workout started. The Sensors icon will display the Saved Sensors menu, listing all sensors that have been paired with your device. From this screen you can review or modify the settings for a given paired sensor, add a new sensor, shop for additional sensors, remove (forget) saved sensors and also access the Help/FAQ service. Wake up your sensor device. Choose your sensor from the list of available sensors. Choose the workout profiles you would like your sensor to be active for (ex. Cycling). NOTE: Always use the app to pair your sensor device unless otherwise advised. To prevent connection issues, do not allow the device to look for a sensor or pair from the general settings function when enabling Bluetooth. Simply turn on the Bluetooth function and open the app to continue with the pairing process. Follow the same steps as those above for Bluetooth connectivity. However, there is no need to turn on Bluetooth. Make sure you have the Wahoo Key installed before searching for a sensor. You will need a 30 pin to lightning adapter if using on iOS devices not equipped with the 30 pin port. Sensors connecting via ANT+ will have a ANT+ icon displayed next to the device type. Follow the same steps as those above for Bluetooth connectivity. Make sure the RFLKT+ is paired and synced to your device before searching for a sensor. Information from the sensor (if connected). Workout profiles selected to be active with the sensor. Select this option to turn on/off selected profiles. Display configurations and other information applicable to that sensor device. Forget Sensor: Select to delete the saved sensor pairing to the Wahoo Fitness app. Help/FAQ: Select to access the online support service & knowledge base. When done, select “Back” from the top left corner to exit the sensor menu. Select “Done” from the top left corner to exit the Saved Sensors menu. Swipe left over the sensor you wish to remove. Select the red “Delete” button to the right to confirm. 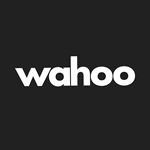 Use this option to shop the online Wahoo store for more fitness products and sensors compatible with the Wahoo Fitness app. The History icon will display all recorded workouts in reverse chronological order. From this screen you can review a completed workout, export it, share it with another app or delete it. As you perform more workouts, the bottom of the screen will generate a sliding graph indicating workout history over time. Select the workout you wish to review from the list. Scroll through the workout to view the various information recorded for that workout. If your workout has GPS data, select to view the map in more detail. If your workout has heart rate data, you can set your Burn and Burst numbers here if you wish. When finished, exit the workout and select “Done” in the top left corner to exit the History menu. Swipe left over the workout you wish to delete. A popup prompt will ask to confirm the prompt to delete, or cancel to retain the recorded workout. When finished, select “Done” in the top left corner to exit the History menu. Select a workout from the History menu. Select the share icon in the top right corner. Select an app from the list that you wish to export to. If it is unauthorised, tap the icon and follow the login prompts to enable sharing of information with this app. Alternatively, export your workout as the filetype of your choice to open in another app later. When finished, select “Done” in the top left corner. If you have recorded offline workouts, they will appear here upon pairing with the Wahoo Fitness app. However, a workout less than 5 minutes in duration will not be synchronised. They can be downloaded manually in Sensors>TICKR X>Device Free Workouts. The Settings icon will display the Settings menu, where you can edit a large range of app attributes, modify app sharing, create or edit workout profiles and access help and information about the app or sensor device. About Wahoo Fitness: Displays Version information for the Wahoo Fitness app. Shop for Sensors: Opens the Wahoo Store, where you can peruse the range of sensors custom made to work with the Wahoo Fitness app. Get Help: Opens the Wahoo Support portal, where a range of Frequently Asked Questions and Knowledge Base articles will be available. Additionally, you may submit or manage an existing request for support. Email us: Opens the mail client and attach relevant specifications and a user log to help us better manage your query. Like the app? Rate Us. : Takes you to the app store. Rating our product and leaving feedback helps us develop better products. Setup Wizard: Select to restart the initial setup wizard for the Wahoo Fitness app. Only select this function if you wish to go through the initial setup again as you will be prompted to follow all steps until completion. No workout history or sensor pairing will be lost if you do run this setup again. Restore Default Settings: Select and confirm to restore the Wahoo Fitness to the default settings. All sensor pairings will be removed, but your workout history will not be deleted. My Details: Enter your personal details to enable the calculation of fitness metrics like heart rate zones and calorie burn. This information is private and intended for personal use only. It will not be viewed, sold or shared. If you have a Garmin Watch, toggle the switch here to enable workout data to be imported from your watch to the Wahoo Fitness app (via the History menu). Sharing: Want to share your workout information with another app? Login and authorise to enable. Additionally, each authorised item can be de-authorised as required. Audio Announcements: Use this function to create a new announcement or edit an existing announcement. You can change the triggers, change the announcement or select multiple announcements and apply them to your selected workout profiles. Use the Verbose toggle to adjust the verbosity of the selected sound bite or even have the iPod change function as an announcement. Use the Preview button to hear your selected audio announcement. Heart Rate Training (for use with a heart rate monitor): Use the HR Training function to measure your Burn and Burst numbers and optimise your workout. Learn more about how you can optimise your heart rate training using the Burn and Burst training plans. Power Training (for use with a bicycle power meter): Use the Power Training function to enter your Critical Power and your Power Zones using your Power Meter. Perform a Functional Threshold Power test to determine your Power Zones and Critical Power. Workout Profiles: The Workout Profiles list will contain a range of generic profiles to get you started. Click on an existing generic profile to edit it, or use the Create Workout Profile to select a more specific template. Select a template for the Workout Profile you wish to create or use the “Copy Existing” button to make a duplicate of an existing profile. Give the profile a custom name or retain the default name. Select which sensors you wish to link to this profile. Select “Done” in the top left corner to exit the Settings menu. Name: Enter a preferred name for your workout in this text field. Linked Sensors: Will show the sensor(s) linked to this workout, select the icon to select/deselect additional sensors if required. Enable GPS: Toggle on/off if GPS data should be recorded for this workout. Enable Altimeter (RFLKT+ only): Toggle on/off if Altimeter data should be recorded for this workout. Enable Motion Analysis (TICKR Run & TICKR X): Toggle on/off to enable motion analysis for monitoring running smoothness, jerk & cycling cadence (indoor). Data Sources: Will show the sensors linked to this workout and what data they will provide. This will appear as a list if an alternative sensor may be used. Select the icon to select/deselect which sensor is to be used if required. Workout Pages: Will display the range of pages currently associated with this workout profile. Use the plus “+” icon in the centre right to add additional pages to the workout. Swipe up from the bottom of the screen to delete a page. Select “Delete Page” to confirm. Use the folder icon in the top right corner to switch which kind of pages you wish to have associated with this workout profile. RFKLT Config (RFKLT & RFKLT+ only): Will display the range of pages currently associated with the RFLKT device and other details specific to this device. Use the plus “+” icon at the centre right to add additional pages to the workout. Select a cell on any page to edit and replace with preferred data as per the menu options. Popups: Use the Popups function to add new Popups with a specific trigger. Click on the triangular exclamation “!” icon to select a trigger from the list or the plus “+” icon to add a new screen to add a trigger to. Buttons: Select the Buttons icon to see what function has been assigned to each button or to reconfigure the buttons on the RFKLT/RFKLT+ as per the options available. Settings: Select the Settings icon to modify how the backlight on the RFLKT/RFLKT+ functions, enable auto scrolling or invert the colours. TICKR Double Tap (TICKR Run & TICKR X only): Will enable the function assigned to the TICKR double tap as per the options available. Auto Pause When Stopped: Toggle on/off to enable the auto pause function when inactive during a workout. Auto Lap: Toggle on/off the auto lap function. Use the menu provided to add triggers to indicate the parameters for the Lap function. Audio Announcements: Toggle on/off the Audio Announcement function. Use the menu provided to create or edit announcements and change the triggers. Use the Verbose toggle to adjust the verbosity of the selected sound bite or even have the iPod change function as an alternative announcement. Countdown: Toggle on/off an audio countdown and use the slider to adjust the length of the countdown if activated. Select the circular red minus “-“ icon on the left of the workout profile you wish to delete. Confirm delete by selecting the red “Delete” function which will appear to the right. Swipe left over the profile you wish to delete. The Workout page enables new Workouts to be initiated and recorded. Make sure the device has Bluetooth turned on so it can communicate with your sensor(s). If you have a TICKR Run or TICKR X, select what you would like the double tap function to perform. Make sure the sensor(s) you plan to use are awake and paired to your device. Select the green “Start” button to begin the workout. To Pause your Workout: Once a workout has started, the green “Start” button will change to become a red “Pause” button. Use this button to pause the workout at any time or to finish your workout. The header bar will flash red while paused to indicate that no work is being recorded during this time. To View your Workout Screens: Swipe left or right to navigate through the screens available for the given workout type. The number and position of the screens is indicated by the grey line of circles displayed above the lap button. The screens to the far left of the default screen are for GPS tracking (if available) and operate your music playlist; the screens to the right are customisable and will reflect the data you have selected to display for that workout. To Start a New Lap: The black “Lap” button located at the bottom left corner of the screen will initiate a new lap. Tap once to begin a new lap & a summary of the previous lap results will be displayed. This will dismiss automatically after 5 seconds, or you can dismiss the results early by selecting “Dismiss” at the bottom of the window. To Lock the Screen: Press and hold the Padlock icon until the animation completes (around 2 seconds) to lock the screen on a given page (you will then need to swipe right to unlock). View/Manage Sensors: Select the Sensor icon from the top left corner of the screen to view the menu of sensors that are linked to this workout type. Any that are currently active will display their signal strength on the far right next to the Bluetooth icon. KICKR users: You can calibrate your KICKR during a workout by selecting the hammer and spanner icon and following the prompts. Settings: Select the Gear icon from the top right corner to toggle Audio Announcements and adjust screen brightness. Select the Gear icon again to close the menu. Level mode: Use the “-“ & “+” buttons to change the power curve. Increasing numbers increases the grade, to a maximum of 4.5%. Using this option is similar to a fluid or wind trainer, the faster you pedal, the harder it gets. Resistance mode: Use the “-“ & “+” buttons to change the resistance. Increasing numbers increases the resistance, to a maximum of 100%. Using this option is similar to adjusting the brake on a stationary bike. Regardless of speed, the brake will remain set until you adjust it. ERG mode: Use the “+” & “-“ buttons to select your preferred power output. Using this option will cause the KICKR to increase/decrease resistance in order to produce a constant power output, regardless of speed. e.g. If your cadence drops, resistance will increase to enable the same power output. Sim mode: Enter your slope (grade), wind speed (headwind) and your bike type to simulate the power curve associated with those factors in an outdoor ride. Ensure that your weight and tire size has been set up in order to ensure accurate power calculations (Wheel Circumference is accessible in the Saved Sensors>KICKR menu, your weight in the Settings>My Details menu). Select the red “Pause” button from the bottom right side of the screen. Once paused, the red “Stop” button will replace the “Lap” button on the bottom left side of the screen. Select “Stop” and you will be prompted to save (exit) or return to your workout. The summary of your workout will now be displayed. Select “Done” to exit or use the “Share” button to export your workout to another app. To view the workout again, or view another, return to the History menu to peruse all stored workouts. Select the sensor type to test. Select the sensor. The Wahoo Utility will now try to connect to the sensor. Make sure you have Bluetooth turned on. Activate the sensor to wake it up. The Wahoo Utility should now connect to your sensor & display information regarding sensor data and the firmware version to confirm connectivity. Having trouble? Contact support for more information.